Bikini Kill announced their first concert tour in 20 years and then plenty of drama followed. First, they announced they would play two shows in New York City and two shows in Los Angeles. The move comes just months after Bikini Kill’s music became available on streaming services for the first time. Bikini Kill’s members haven’t played together in decades: the old school lineup includes Kathleen Hanna on vocals, Tobi Vail on drums, and Kathi Wilcox on bass. Erica Dawn Lyle for Scam Zine and Black Rainbow will appear on guitar. The shows sold out in an instant, and fans cried out for a solution. Bikini Kill apologized because they didn’t know that the presale for the Brooklyn show would make them so much money so quickly. Hi everyone, we wanted to apologize to anyone who had a bad experience trying to get tickets to our upcoming shows. We weren’t aware of the pre-sale for people with a certain credit card in NY until it was too late and that will not happen in the future. Also as soon as we realized there were problems we tried to put as many obstacles in front of scalpers as we could and are trying to figure out a better solution going forward. Thanks for all the interest and support of these shows – it is beyond anything we expected and we are excited to play for you! The band promptly added more shows. A third LA show was announced as well as a third NYC show. Tickets are on sale now. Although these are the only shows to be announced, it seems likely that the band will add shows in other locations. For the uninitiated, Love and Bikini Kill have a feud that goes back decades, to the early 1990’s, when Love and Bikini Kill were both active in the burgeoning punk and alternative rock scene in the Pacific Northwest. 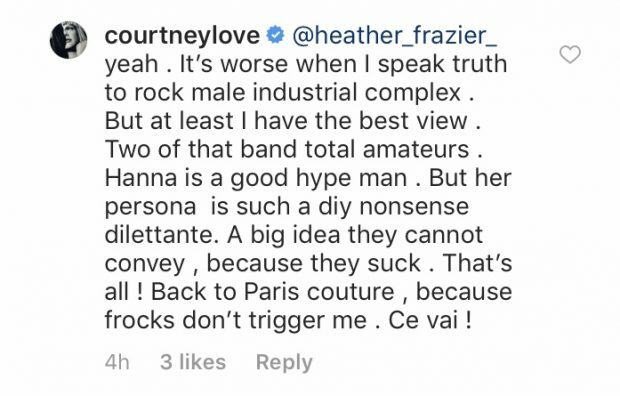 Kathleen Hanna once filed a police report alleging that Love punched her in the face while Hanna was onstage at Lollapalooza. The longstanding feud is in part an argument about authenticity, with Bikini Kill shunning publicity from the establishment, and Love/Hole believing their stance was essentially a pose. Hole guitarist Eric Erlandson had his own take on the matter, saying “We had bulk candy backstage. 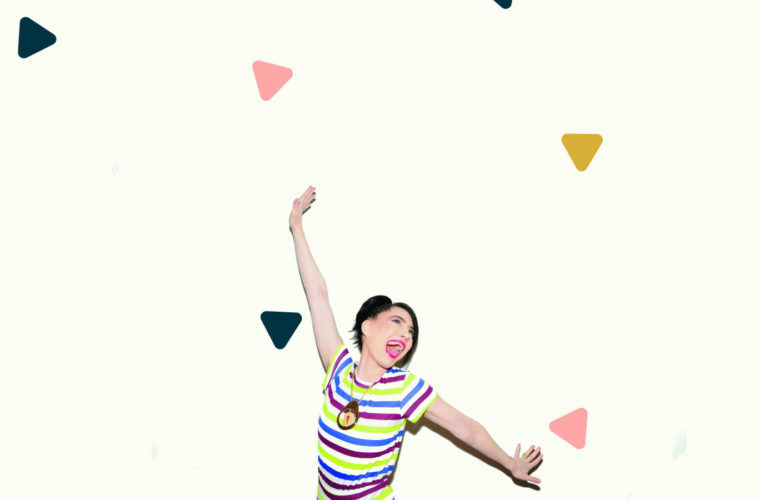 I go, ‘Courtney, there’s Kathleen Hanna. You should offer her some candy.’ She grabbed the candy and just threw it at her.